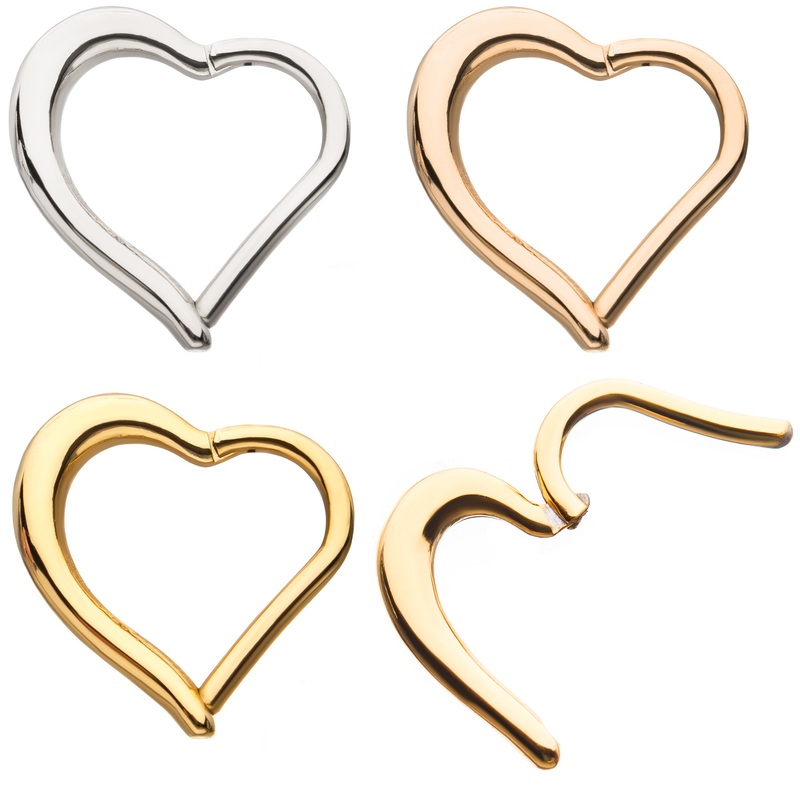 16g Rose Gold Plated Heart Shape Hinged Segment Rings. Diameter: 10mm and 8mm. Made from 316 Surgical Steel. Sold Individually.